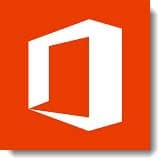 In a previous article, I explained how to connect to Office 365 with PowerShell. In this article, we explore how to use PowerShell to connect to Exchange Online. 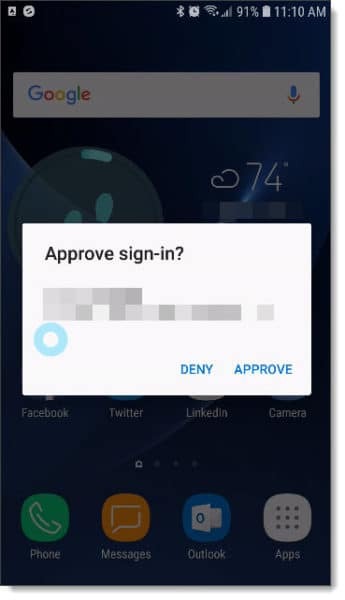 This can vary based on what authentication method you have configured for your admin account. The sections below cover each authentication method. If your administrator account has multi-factor authentication enabled you won’t be able to use the built-in PowerShell. Instead, you will need to download the Exchange Online PowerShell Module. To do this, log into the Office 365 Admin Center, navigate to the Exchange Admin Center, and click the Hybrid tab. 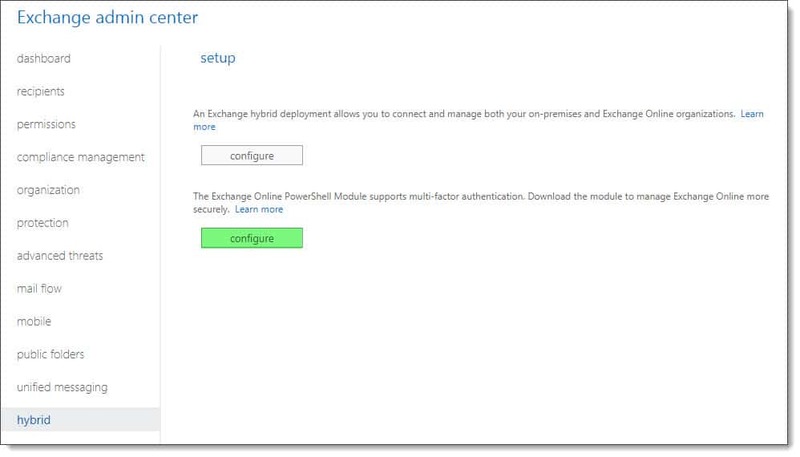 From the hybrid tab, click the second Configure button (under the text that states The Exchange Online PowerShell Module supports multi-factor authentication). Note: You can only download this with Internet Explorer. This module will error out if you use Chrome or Firefox. This will create a new icon on your desktop named Microsoft Exchange Online Powershell Module. Double-click Microsoft Exchange Online Powershell Module. 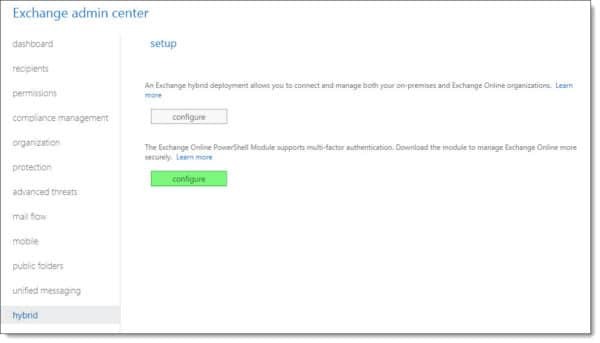 This will launch PowerShell with the Exchange Online Module preloaded. To connect we will use the Connect-EXOPSSession cmdlet. In this cmdlet swap the -UserPrincipleName parameter for your administrator’s login name. This command should launch a web pop-up. Enter your Password and click Sign in. MFA will then give you a challenge response. In the example below, the MFA settings are configured to send a push notification to the Microsoft Authenticator app. Other examples include inputting a code received via text message or verifying a phone call. What you see here depends on how you have configured MFA for your admin account. 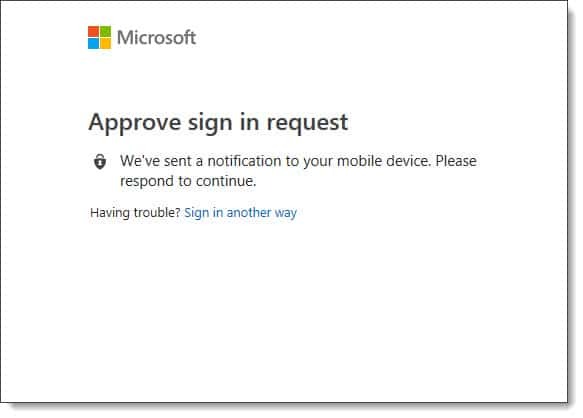 Continuing with our Microsoft Authenticator app example, we will click Approve on our mobile device. You will then be connected to Exchange Online. Be sure to close your session once you are done (Get-PSSession | Remove-PSSession). If your admin account does not have MFA enabled you can use regular PowerShell. 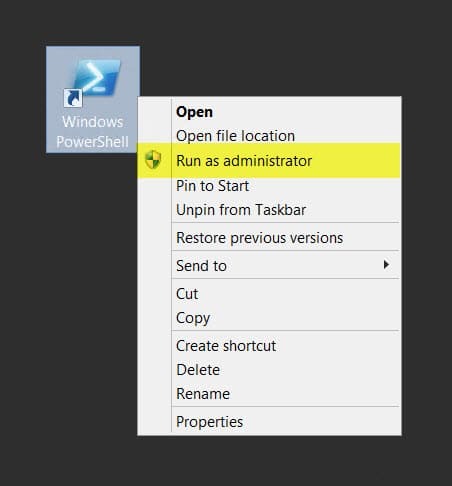 Right-click on the PowerShell icon and select Run As Administrator from the context menu. First, we need to set the execution policy. Next, we need to store our Office 365 credentials in a variable. Type the command below and hit enter. You are now connected. To test your connection try running an Exchange command like Get-Mailbox. When you are done, be sure to end your remote session with Remove-PSSession $Session. If you have Active Directory Federation Services (SSO) in your environment you can skip the credential prompt. To connect to Exchange Online from a domain-joined computer, open PowerShell as an administrator and, issue the following commands. Be sure to switch the -Authentication parameter to a value of Kerberos and drop the -Credential parameter. Finally, import the session using the variable. If you are connecting from Windows 10 you can safely skip this section. If you are using Windows 8 or older, this section is for you. Windows 7 Service Pack 1 or newer. Server 2008 R2 Service Pack 1 or newer. If running Windows 7, you will need to install .NET Framework 4.5. This comes included with Windows 8+ and Server 2012+. For Windows 7, it can be downloaded from here. If running Windows 7 or 8, you will also need the Windows Management Framework 4.0. This comes included with Windows 8.1+ and Server 2012 R2+. For Windows 7 and 8, it can be downloaded from here. It is also possible to drop all these commands into your PowerShell profile as a function. To locate your profile open PowerShell and type $profile. This should come back with the location. Navigate to the folder and edit the profile script. If the PS1 file does not exist you can create a blank one. In this example, we create a function named Connect-EXO. You can name this function whatever you like. But shorter is sweeter. Copy the script below into your Powershell profile. When you launch PowerShell simple type the name of your function to initiate the connection process. Note: If you would rather just download the PowerShell profile with the included function you can get it from the TechNet gallery. Provided you have all the prerequisites you can also throw in the connection command to Azure Active Directory by simply adding this extra line (or call it out in its own function). How has your experience been with connecting PowerShell to Exchange Online? Or perhaps, connecting to Azure Active Directory? Join the conversation on Twitter @SuperTekBoy. 4:19:02 PM] Access Denied For more information, see the about_Remote_Troubleshooting Help topic. Correct. 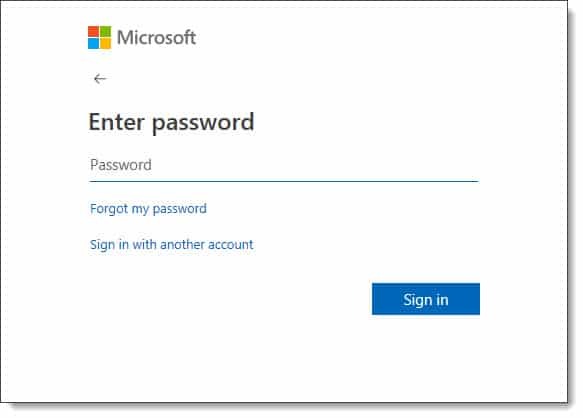 If using directory synchronization you will want to use your User Principle Name (UPN) when logging into Office 365 not your SAM Account Name. Thank you very much for this neat explanation. and valuable tips. Thanks for the post, it was really helpful as I was trying to set up Power Shell to Exchange Online. Thanks Nobeel. Not sure why I had missed that. Thanks for letting me know.